In a thrilling Inter-Counties Team competition at Ponds Forge, on Sunday 19th October, the Red Rose team demonstrated their dominance of theÂ Competition and beat all comers to clinch their thirteenth successive title. A huge well doneÂ to the entire team. 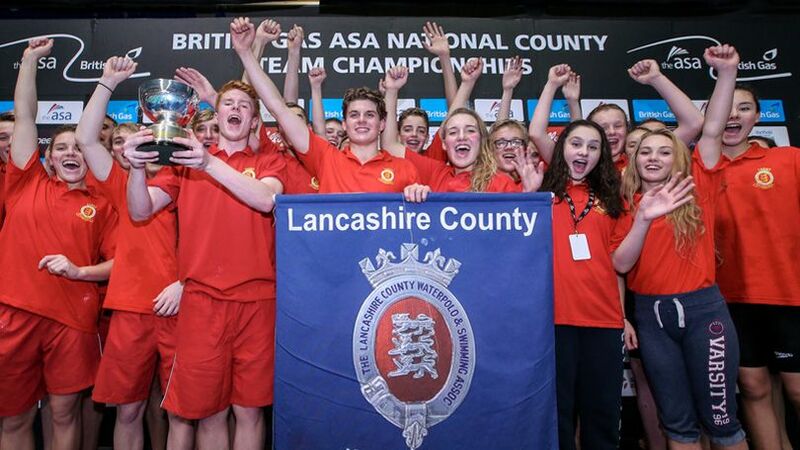 On Sunday 19th October the Lancashire County Team will be heading to Ponds Forge for this high-energy, action packed battle for the ultimate title of County Team Champions. The competition will see 40 teams from England, Scotland and Wales gather in Sheffield for a spectacular display of the nationâ€™s youngest talent. The atmosphere will be electric with 1,200 swimmers and 1,000 spectators raising the roof cheering their team to the winning touch. The teams swim in three age groups in a combination of 100m individual events and medley team relays culminating in the trilling 6x50m freestyle canon. The Red Rose team have won the event for an unprecedented twelve successive years, and the 2014 team are very much hoping to make that thirteen. This yearâ€™s Team Managers are John Stout from the City of Salford and Carolyn Dawe from City of Manchester Aquatics. You will be able to follow the live streaming of the competition on the day on ASA website. The very best of luck to all our Team. Saturday 21st & Sunday 22nd March 2015 – Manchester Aquatics Centre. Full competition details and the entry file will be posted shortly. 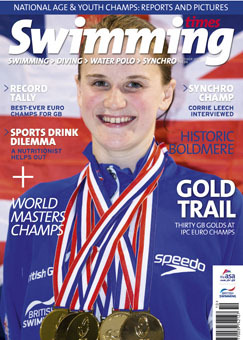 Steph achieved seven gold medals including a European Record in the S8 50m Freestyle and a World Record in the S8 100m Butterfly.